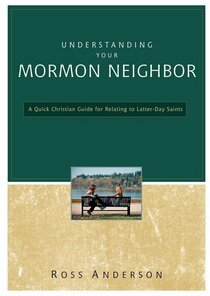 About "Understanding Your Mormon Neighbor"
Ross Anderson is the founding pastor of Wasatch Evangelical Free Church in Roy, Utah, where he has served since graduating from seminary in 1983. He was born in Utah and raised in California as an active member of the Mormon (Latter-day Saint) Church. He is a graduate of the University of California at San Diego. He has a master of divinity with an emphasis on missions from Trinity Evangelical Divinity School. He is currently completing a doctor of ministry degree at Salt Lake Seminary, working on project to incorporate ex-Mormons into the church. He has recently published Understanding the Book of Mormon.